Monthly meetings are drop-in discussions and presentations guided by me and are open to anyone interested in the imagination. Although pre-registration is not required, I do use the online service, Meetup, to get the word out to more people that we meet and what we offer. You may wish to join this free service to stay better in touch with meeting announcements, schedule changes, etc. To join Meetup and to see the Armchair Dreamer Meetup page go here. What Happens at a Drop-In Group? I start off with a presentation, something about the nature of imagination or how to practice. This is followed by me discussing the steps of a technique. Next, we practice that technique and people offer what they experienced. Then we build upon this by using other methods to: relax, go inside, explore what we find there. One day we may focus on finding insights. Other times, we work with dreams. Someone reads a dream they have captured and the group takes 20 to 45 minutes to explore the dream imagery and what it might indicate for the dreamer. Of course, there is always time for discussion and sharing ideas. Optional Fee: $5 donation appreciated to help pay for rent of the space we use for the meeting. ALX Community is a brand new co-working space and we will be using their large conference room. Look for ALX right off King (Comfort Shoes) at King and Lee Streets. 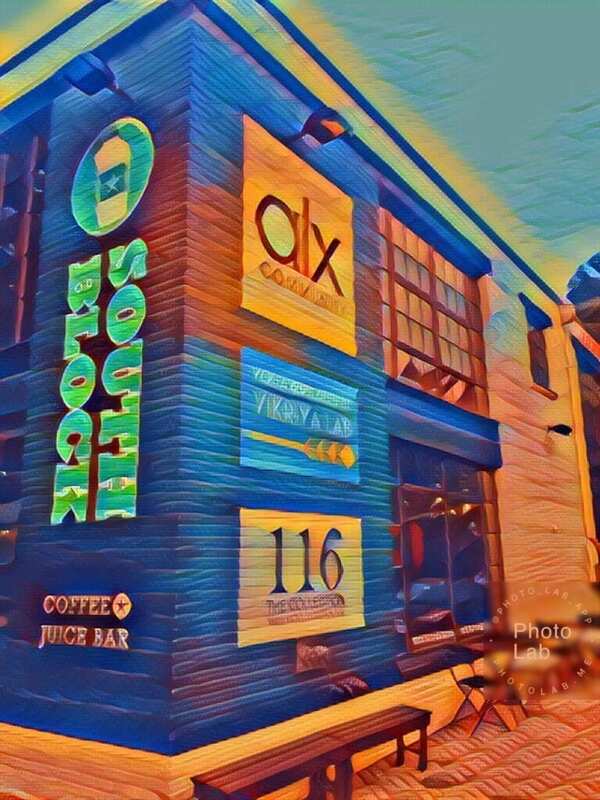 SouthBlock is a coffee-sandwich shop on the first floor. Come up the stairs to find ALX Community and I will be looking for you to let you in the door. If you need to use the elevator (I need to give you access), please call me at 703-975-9175 and I will come down and get you. 106 N. Lee St. Alexandria, VA 22314 – Go up to the second floor to the ALX Community coworking space; I’ll let you in. Find the corner of King & Lee Streets. Head down Lee Street to 106 N. Lee St. We are just an 1/8 block from that intersection. Get a concentrated dose (2 to 3 hours per workshop) of practical, do-it-yourself, step-by-step instruction around how to solve a problem, jumpstart something, get you unstuck, or give the big perspective on something cool and important. Affordable fees are charged but you get your money’s worth by getting the best in a very short time. Note: Workshops are occasional happenings, really, this is not a marketing ploy. If you see something grab when you see because I might not offer it again. I do what I can but I can’t guarantee that some workshop will be around forever. Sign-up to hear early about any Armchair Dreamer Drop-in Workshops.